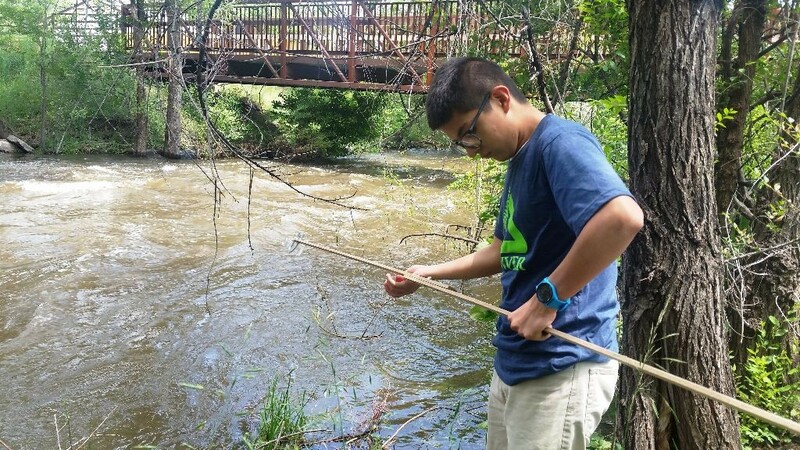 The “Blue Team” works on the Bear Creek, collecting field samples and field parameters. Students also learn about potential career options from partners at the U.S. EPA, the Bear Creek Watershed Association, U.S. Fish and Wildlife Service, South Suburban Parks and Recreation, Earth Force and the Metro State University Biology Department.